Ensinar Física, Química e Matemática no Second Life ficou mais fácil: Interfaces amigáveis. Educação Matemática em Revista - RS, Canoas, SBEM - Sociedade Brasileira de Educação Matemática - Regional RS, v. 2, n. 13, pp. 8, jul. 2012. As dificuldades de aprendizado dos alunos em Ciências e Matemática estão bem discutidas na literatura científica. Vários autores defendem a utilização de mundos virtuais que, pela sua rica visualização 3D e capacidade de imersão, permitem que os estudantes se envolvam com os conteúdos de forma experiencial, interativa e multissensorial, melhorando a habilidade do estudante tanto em assimilar conhecimento abstrato como em aplicá-lo em ambientes reais. No entanto, embora se destaque como a plataforma que oferece mais serviços e ferramentas para desenvolvimento de aplicações com qualidade, o Second Life e sua linguagem de programação apresentam uma notável curva de aprendizado que desestimula a maioria dos professores a usá-lo como ambiente de simulações educacionais. Desta forma, o objetivo deste trabalho é apresentar alguns recursos que tornam bastante acessível utilização do Second Life no ensino de Ciências e Matemática. Acoplamiento molecular. Wikipedia, La enciclopedia libre, 21. Feb. 2012. San Francisco, CA: Wikimedia Foundation. Disponível em: . Acesso em: 27/5/2012. BOGACKI, P. Multivariable Calculus Virtual Office Hours in a Metaverse. In: J. Foster (Ed. ); CD-ROM Proceedings of the Twentieth Annual International Conference on Technology in Collegiate Mathematics, San Antonio, Texas, March 6-9, 2008. Anais... p.C015, 2009. Upper Saddle River, NJ: Pearson Education. 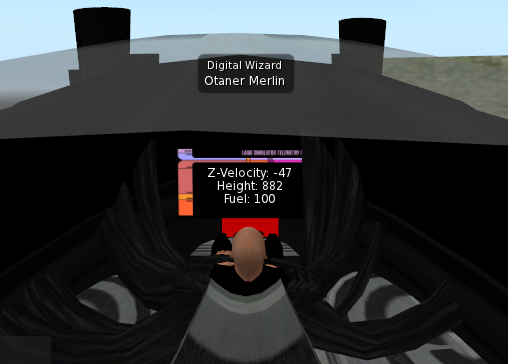 BOGACKI, P. Exploring Normal Vectors in the Second Life Metaverse. In: M. Fernandez (Ed. ); CD-ROM Proceedings of the Twenty-second the Annual International Conference on Technology in Collegiate Mathematics, Chicago, Illinois, March 11-14, 2010. Anais... p. M005, 2011. Upper Saddle River, NJ: Pearson Education. BOURKE, P. D. Evaluating Second Life for the Collaborative Exploration of 3D Fractals. Computers & Graphics, v. 33, n. 1, p. 113-117, 2009. BRICKEN, W. A formal foundation for cyberspace (Extended abstract). In: S. K. Helsel (Ed.). Beyond the vision: The technology, research, and business of virtual reality. (Proceedings of the Second Annual Conference of Virtual Reality, Artificial Reality, and Cyberspace: San Francisco, September). Anais... , 1991. DEDE, C. J. The future of multimedia: Bridging to virtual worlds. Educational Technology, v. 32, n. 5, p. 54-60, 1992. Englewood Cliffs, NJ: Educational Technology Publications. DEDE, C. J. The evolution of constructivist learning environments: Immersion in distributed, virtual worlds. Educational Technology, v. 35, n. 5, p. 46-52, 1995. DOHERTY, P.; ROTHFARB, R.; BARKER, D. Building an Interactive Science Museum in Second Life. In: D. Livingstone; J. Kemp (Eds. ); Proceedings of the Second Life Education Workshop at the Second Life Community Convention, San Francisco, August 20th, 2006. Anais... p.19-24, 2006. Paisley, UK: University of Paisley. dos SANTOS. Second Life as a Platform for Physics Simulations and Microworlds: An Evaluation. Proceedings of the CBLIS 2012 - 10th Computer-Based Learning in Science, Barcelona, 26th to 29th June, 2012. Anais... , 2012a. dos SANTOS. Simulações de Física no Second Life: Uma análise de viabilidade. Acta Scientiae, v. 14, n. 2, 2012b. dos SANTOS. Immersive Geometry with Bogacki in Second Life. 2012c. dos SANTOS. 2012d. Playing with TATI. dos SANTOS. TATI - Uma interface textual amigável para o Second Life. RENOTE: Revista Novas Tecnologias na Educação, v. 10, n. 1, 2012e. FLANAGAN, T.; DELPHIN, G.; FARGIS, M.; LEXINGTON, C. Art, Mathematics and Physics in second Life. Proceedings of the 9th International Conference APLIMAT 2010, Bratislava, 2010. Anais... , 2010. Bratislava: Slovak University of Technology. FREITAS, S. DE; GRIFFITHS, M. Massively Multiplayer Online Role-Play Games for Learning. In: R. E. Ferdig (Ed.). Handbook of Research on Effective Electronic Gaming in Education. v. 1, p.779-793, 2009. HARVEY, B. Berkeley Logo User Manual. Berkeley, CA: University of California, 1993. HAVOK.COM. Havok Physics Animation 6.0.0 PC XS User Guide. Dublin: Havok.Com, Inc., 2008. Identificador Químico Internacional. Wikipédia, a enciclopédia livre, 10. May. 2012. San Francisco, CA: Wikimedia Foundation. InChIKey. Wikipedia, The Free Encyclopedia, 25. Apr. 2012. San Francisco, CA: Wikimedia Foundation. LANG, A. S. I. D.; BRADLEY, J.-C. Chemistry in second life. Chemistry Central Journal, v. 3, n. 1, p. 14-33, 2009. London: BioMed Central. LEE, X. Math in Second Life. Xah Lee’s site, 2007. LEE, X. Second Life: Math Lorenz Attractor. Xah Lee’s site, 1. Aug. 2011. LOPES, C. V. The massification and webification of systems’ modeling and simulation with virtual worlds. ESEC/FSE ’09 (Proceedings off the 7th joint meeting of the European software engineering conference and the ACM SIGSOFT symposium on The foundations of software engineering, Amsterdam). Anais... p.63-70, 2009. New York: ACM. MEDEIROS, J. Doing physics in Second Life. Physics World, p. 12-13, Feb. 2008. MMORG Gamelist-All Listed Games. .MMORPG site. Mesh. Second Life Wiki, 3. Feb. 2012. Linden Research, Inc.
OKUDA, M.; OKUDA, D. The Star trek encyclopedia: a reference guide to the future. 3rd ed. New York: Pocket Books, 1999. PAPERT, S. A. Does Easy Do It? Children, Games, and Learning. Game Developer magazine, p. 87-88, 1998. Phantom. RAUPP, D. T.; ANDRADE NETO, A. S. DE; MOREIRA, M. A. Desenvolvendo habilidades visuoespacias: Uso de software de construção de modelos moleculares no ensino de isomeria geométrica em Química. Experiências em Ensino de Ciências (UFRGS), v. 4, n. 1, p. 65-78, 2009. REIS, R.; FONSECA, B.; ESCUDEIRO, P. Comparative analysis of virtual worlds. Proceedings of the 6th Iberian Conference on Information Systems and Technologies (CISTI 2011), Chaves, Portugal, 15-18 June 2011. Anais... p.1-7, 2011. RICHTER, J.; ANDERSON-INMAN, L.; FRISBEE, M. Critical Engagement of Teachers in Second Life: Progress in the SaLamander Project. Proceedings of the Second Life Education Workshop at the Second Life Community Convention, Chicago Hilton, 24th-26th August, 2007. Anais... , 2007. Paisley, UK: University of Paisley. SANCHEZ, J. Barriers to Student Learning in Second Life. Library Technology Reports, v. 45, n. 2, p. 29-34, 2009. SMILES. Wikipédia, a enciclopédia livre, 5. maio 2012. San Francisco, CA: Wikimedia Foundation. Disponível em: . Acesso em: 27/5/2012. SWARTOUT, W.; HILL, R.; GRATCH, J. et al. Toward the Holodeck: Integrating Graphics, Sound, Character and Story. AGENTS ’01: Proceedings of Fifth International Conference on Autonomous Agents, May 2001. Anais... p.409-416, 2001. New York: ACM Press. TAYLOR, D. Second Life in perspective: A round-up of 50 virtual worlds. WALKER, J. Through the Looking Glass. In: B. Laurel (Ed. ); The art of computer-human interface design. p. 213-245, 1990. Menlo Park, CA: Addison-Wesley.